Welcome to Fun 4 Seminole Kids! The content on this Web Site is intended for entertainment purposes only. Except as expressly permitted, you agree not to use the Web Site for sale, trade or other commercial purposes, and, you may not modify, copy, publish, display, transmit, adapt or in any way exploit the content of the Web Site. Only if you obtain prior written consent from us — and from all other entities with an interest in the relevant intellectual property — may you publish, display or commercially exploit any material from the Web Site. To seek our permission, you may write to us at our address provided below. If permission is granted by us and by all other entities with an interest in the relevant intellectual property, you may not change or delete any author attribution, trademark, legend or copyright notice. You must abide by all additional copyright notices or other restrictions contained on the Web Site. You may be able to access links to third parties’ Web Sites (“Linked Sites”) from the Fun4SeminoleKids Web Site. Linked Sites are not, however, reviewed, controlled, or examined by Fun4SeminoleKids in any way and Fun4SeminoleKids is not responsible for the content, availability, advertising, products or other materials of any such Linked Sites, or any additional links contained therein. These links do not imply Fun4SeminoleKids’ endorsement of or association with the Linked Sites. It is your sole responsibility to comply with the appropriate terms of service of the Linked Sites as well as with any other obligation under copyright, secrecy, defamation, decency, privacy, security and export laws related to the use of such Linked Sites and any content contained thereon. In no event shall Fun4SeminoleKids be liable, directly or indirectly, to anyone for any loss or damage arising from or occasioned by the creation or use of the Linked Sites or the information or material accessed-through these Linked Sites. You should direct any concerns to that site’s administrator or webmaster. 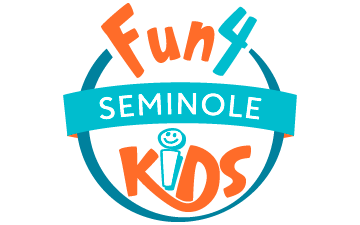 Fun4SeminoleKids reserves the exclusive right, at its sole discretion, to add, change, decline or remove, without notice, any feature or link to any of the Linked Sites from the Fun4SeminoleKids Web Site and/or introduce different features or links. 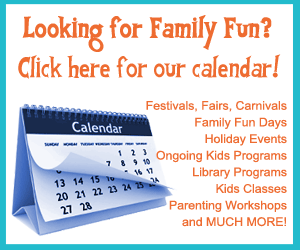 You grant Fun4SeminoleKids a license to use the materials you post to the Web Site. By posting, downloading, displaying, performing, transmitting, or otherwise distributing information or other content (“User Content”) to the Web Site, you are granting Fun4SeminoleKids, its affiliates, officers, directors, employees, consultants, agents, and representatives a license to use User Content in connection with the operation of the Web Site, its affiliates, officers, directors, employees, consultants, agents, and representatives, including without limitation, a right to copy, distribute, transmit, publicly display, publicly perform, reproduce, edit, translate, and reformat User Content. You will not be compensated for any User Content. 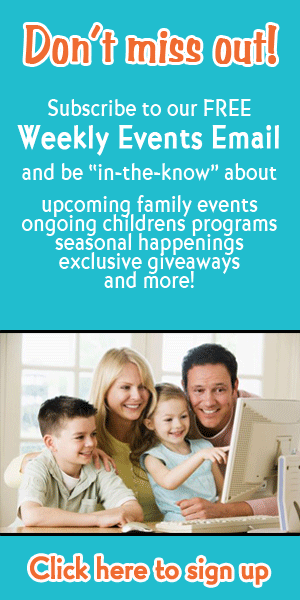 You agree that Fun4SeminoleKids may publish or otherwise disclose your name in connection with your User Content. By posting User Content on the Web Site, you warrant and represent that you own the rights to the User Content or are otherwise authorized to post, distribute, display, perform, transmit, or otherwise distribute User Content. When accessing the Web Site, you agree to obey the law and to respect the intellectual property rights of others. Your use of the Web Site is at all times governed by and subject to laws regarding copyright ownership and use of intellectual property. To the extent you are now or may later be able to do so, you agree not to upload, download, display, perform, transmit, or otherwise distribute any information or content (collectively, “Content”) in violation of any third party’s copyrights, trademarks, trade secrets, or other intellectual property or proprietary rights. You agree to abide by laws regarding ownership and use of Intellectual Property, and you shall be solely responsible for any violations of any relevant laws and for any infringements of third party rights caused by any Content you provide or transmit. The burden of proving that any Content does not violate any laws or third party rights rests solely with you. THE WEB SITE AND SERVICES ARE PROVIDED “AS IS,” “WHERE IS” AND “AS AVAILABLE,” WITHOUT WARRANTY OF ANY KIND, EITHER EXPRESS OR IMPLIED. WITHOUT LIMITATION OF THE FOREGOING, FUN4SeminoleKIDS SPECIFICALLY DISCLAIMS ANY AND ALL WARRANTIES, INCLUDING, BUT NOT LIMITED TO: (i) ANY WARRANTIES CONCERNING THE AVAILABILITY, ACCURACY, APPROPRIATENESS, RELIABILITY, TIMELINESS, USEFULNESS, OR OTHERWISE OF THE CONTENT OF THE WEB SITE OR SERVICES; AND (ii) ANY WARRANTIES OF TITLE, WARRANTY OF NON-INFRINGEMENT, WARRANTIES OF MERCHANTABILITY OR FITNESS FOR A PARTICULAR PURPOSE. THIS DISCLAIMER OF LIABILITY APPLIES TO ANY DAMAGES OR INJURY CAUSED BY THE WEB SITE, INCLUDING WITHOUT LIMITATION AS A RESULT OF (1) ANY ERROR, OMISSION, DELETION OR DEFECT IN THE CONTENT, OR (2) ANY FAILURE OF PERFORMANCE, ERROR, OMISSION, INTERRUPTION, DELETION, DEFECT, DELAY IN OPERATION OR TRANSMISSION, COMPUTER VIRUS, COMMUNICATION LINE FAILURE, THEFT OR DESTRUCTION OR UNAUTHORIZED ACCESS TO, ALTERATION OF, OR USE OF RECORD, WHETHER FOR BREACH OF CONTRACT, TORT, NEGLIGENCE, DEFAMATION OR UNDER ANY OTHER CAUSE OF ACTION. FUN4SeminoleKIDS DOES NOT WARRANT OR GUARANTEE (1) THAT ANY PORTION OF THE WEB SITE WILL BE FREE OF INFECTION BY VIRUSES, WORMS, TROJAN HORSES OR ANYTHING ELSE MANIFESTING CONTAMINATING OR DESTRUCTIVE PROPERTIES; OR (2) THAT ACCESS TO THE WEB SITE WILL BE UNINTERRUPTED OR ERROR-FREE. FUN4SeminoleKIDS DOES NOT WARRANT OR MAKE ANY REPRESENTATIONS REGARDING THE USE OR THE RESULTS OF THE USE OF THE MATERIALS IN THIS WEB SITE. YOU (AND NOT FUN4SeminoleKIDS OR ANY OF ITS AGENTS) ASSUME THE ENTIRE COST OF ALL NECESSARY SERVICING, REPAIR OR CORRECTION. APPLICABLE LAW MAY NOT ALLOW THE EXCLUSION OF IMPLIED WARRANTIES, SO THE ABOVE EXCLUSION MAY NOT APPLY TO YOU. IN NO EVENT WILL FUN4SeminoleKIDS, ITS OFFICERS, DIRECTORS, EMPLOYEES, AGENTS, SPONSORS, ADVERTISERS, PARENTS, AFFILIATES, SUCCESSORS OR ASSIGNS, BE LIABLE TO ANY PARTY (i) FOR ANY INDIRECT, SPECIAL, PUNITIVE, INCIDENTAL OR CONSEQUENTIAL DAMAGES OR ANY OTHER DAMAGES ARISING IN ANY WAY OUT OF THE AVAILABILITY, USE, RELIANCE ON, OR INABILITY TO USE THE WEB SITE, EVEN IF FUN4SeminoleKIDS OR ITS AGENTS SHALL HAVE BEEN ADVISED OF THE POSSIBILITY OF SUCH DAMAGES, AND REGARDLESS OF THE FORM OF ACTION, WHETHER IN CONTRACT, TORT, OR OTHERWISE; OR (ii) FOR ANY CLAIM ATTRIBUTABLE TO ERRORS, OMISSIONS, OR OTHER INACCURACIES IN, OR DESTRUCTIVE PROPERTIES OF THE WEB SITE. 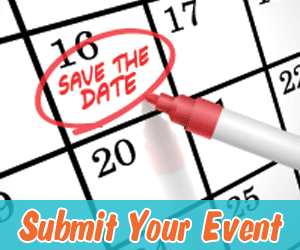 IN NO EVENT SHALL FUN4SeminoleKIDS AGGREGATE LIABILITY TO YOU EXCEED $1,000. BECAUSE SOME STATES OR JURISDICTIONS DO NOT ALLOW THE EXCLUSION OR THE LIMITATION OF LIABILITY FOR CONSEQUENTIAL OR INCIDENTAL DAMAGES, IN SUCH STATES OR JURISDICTIONS, FUN4SeminoleKIDS LIABILITY SHALL BE LIMITED TO THE EXTENT PERMITTED BY LAW. YOU AGREE THAT REGARDLESS OF ANY STATUTE OR LAW TO THE CONTRARY, ANY CLAIM OR CAUSE OF ACTION ARISING OUT OF OR RELATED TO THESE TERMS, YOUR USE OF THIS SITE OR ANY SERVICE PROVIDED HEREUNDER MUST BE FILED WITHIN ONE (1) YEAR FROM THE DATE SUCH ACTION OR CAUSE OF ACTION AROSE OR BE FOREVER BARRED. We control and operate this site from our offices in [[county]] County, Florida. We do not represent that materials on the site are appropriate or available for use outside of [[county]] County, Florida. Persons who choose to access this site from other locations do so on their own initiative, and are responsible for compliance with local laws, if and to the extent local laws are applicable. You shall not transfer, assign, sub-license nor pledge in any manner whatsoever, any of your rights or obligations under this Agreement. Fun4SeminoleKids may transfer, assign sub-license or pledge in any manner whatsoever, any of its rights and obligations under this agreement to a subsidiary, affiliate, or successor thereof or to any third party whatsoever, without notifying you or receiving your consent.